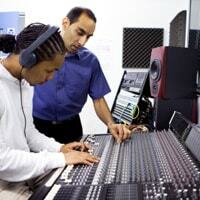 Want to learn how to become a better music producer? Want to make beats like Skrillex, Deadmau5, Timbaland or Dr Dre? Then you’ve come to the right place. In this article, you will find some of the best music production tips from around the web, all displayed in a neat info graphic. 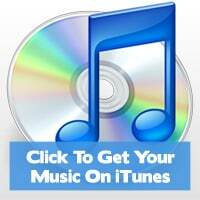 Whether you’re still using discount production software or are already selling your beats, you should find some good tips here. I’ve also put together some additional bonus tips at the end to really help you take things to the next level. 16. If you’re new to music production, start of with cheaper software such as Dubturbo. 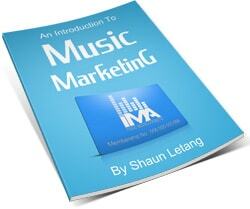 This will allow you to see if producing music is for you, and to learn the ropes on an easy to understand program. If it is, you can upgrade to Cubase once you have the base knowledge and budget. 17. Don’t be scared to go back and edit a track. Even if you initially think it’s complete, you’ll sometimes notice something isn’t quite right, or could sound better. In this instance, go back and edit this piece. 18. Don’t be afraid to experiment. You don’t have to sound like everyone else, if you want to create your own sound then go for it. Some of the best producers have done this, now they have people copying their style. 19. Press buttons. Don’t know how it’ll sound if you add that effect? Then give it a try. You will find that trying new things will often bring unexpected results, and sometimes very good ones at that. 20. Go minimalistic. Stripping your instrumental down to the bare basics can often give the vocalist a chance to really express themselves over the beat. While you shouldn’t produce all your music like this, it’s a good idea to experiment with less sounds sometimes. So there you have it, 20 tips for becoming a better music producer. I hope these tips have been useful, and you now have some handy ideas for how you’re going to take your music production to the next level. Do you have any tips to add? If so, please leave them in the comments section below.